Cab/Taxi drivers have always in news for bad and wrong doings. In fact, very recently a Pune Woman came out and courageously described the harassment of a cab driver and his messages. This always questions that whether driving in a hired cab is safe or not. But with few bad drivers, we cannot generalize the doings of all drivers. There are still some of them who work in good faith and have moral values above everything. One such incident took place couple of days ago about an Ola Cab Driver, which was highlighted by Kavya Rao, a resident of Mangaluru on her Facebook timeline. Kavya shared the wonderful story on her Facebook timeline and even asked everyone to share it and reward the driver whosoever meets him. Kavya, hailing from Mangaluru booked an Ola Cab for her parents. Her father had a check up in the hospital and so even though Mini and Micro cabs were not available, she booked a Sedan for her parents in the afternoon around 2:05 P.M. Instantly the Ola Cab Driver reached the destination and safely dropped the elderly couple to the desired location, Hospital. What then happened, surprised not only parents and Kavya but also the whole nation then after. It was a 6 Km run for them where the bill amount was Rs 140 as it was a cash payment. But to their surprise, The Ola cab driver, Sunil K. upfront refused to take the payment. He cited the reason that he does not take payments for any of the hospital trips. Kavya’s parents tried to convince him to take the payment but he was stubborn in his decision. He rather stated that Dropping people to the hospital with no charge was a small gesture of him to help the society. Kavya’s mother then offered him to take petrol expenses but he did not take it and left. His gesture stunned Kavya’s parents and they were very grateful to him. Upon knowing the incident, Kavya was in shock. She knew how these taxis and cab drivers are as they do not talk below Rs 200 to go somewhere or cancel the ride as they do not want to go to the desired destination but among all this Sunil, the Ola Cab Driver proved himself to be Gem of all. Kavya even posted a screenshot of the ride on her Facebook profile and urged to share it. 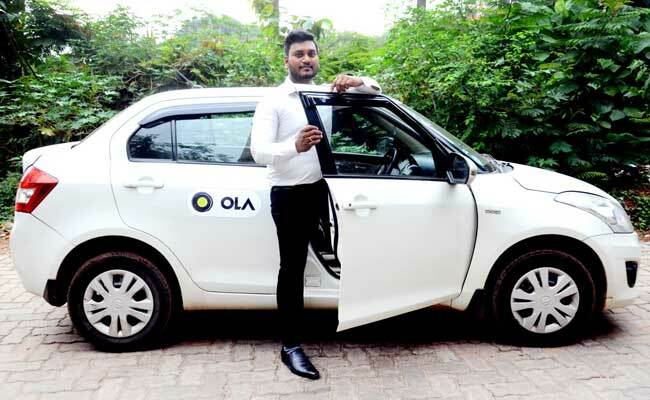 After the post was shared and went viral, the Ola cab Driver became famous and got all praiseworthy messages for his gesture. People said that they restored faith in Ola and cab drivers because of him. It is also reported that Sunil was felicitated for his good cause by the Ola Company at their Mangaluru office. Work if done with honesty and keeping society ahead of your selfishness always proves to be fruitful. The same depicts in this case. Sunil, the Ola cab driver kept his humanity above the money he would have got through the ride. It might be a minimal amount but the respect he has earned would be with him for a lifetime. It proves that “Action speaks louder than your words”. If you only say and cannot do it, then it has no meaning but doing without shouting about it is the actual cause done. The post posted by Kavya Rao has over 22000 reactions and more than 2200 shares till Thursday Morning. Hope to see such kind gesture very often by the people. Tags:Hetal Kabra, Inspirational Stories, Ola Cab Driver, Sunil K.